Dealerships. I’ve never spent a lot of time at one. Mostly because I prefer buying used (from regular old humans) and, well, dealers have a reputation for having pretty grimy business practices. Have you ever seen a car dealer depicted favorably in any film or TV show? The one that stands out most to me is the Seinfeld episode known as “The Dealership”. In it, George insists he accompany Jerry to the dealership to ensure Jerry doesn’t get completely taken advantage of. “Commit to nothing. If you have to speak–mumble,” warns George. Thinking he’s going to get an “insider deal” through friend Elaine’s boyfriend, Puddy, Jerry decides on a Saab 900 NG convertible. Everything seems to be going fine until Elaine and Puddy’s relationship gets rocky mid-sale, at which point Jerry’s “deal” becomes more of a shakedown. The price of his car suddenly becomes inflated with extras – “transport charge, storage surcharge, additional overcharge, finder’s fee,” Puddy says as he tallies up the bill. Even George gets a raw deal, swindled out of a Twix bar from the dealership vending machine by an unscrupulous mechanic. Maybe some of the stereotypes are overblown or unfair, but for the most part, dealer reputation of dishonesty has been earned through decades of sales malpractice. So what gives? Why does this happen in America, the land of the free? In most industries in America, companies can’t survive long if all they ever do is misbehave and play tricks on their customers. Sooner or later, a smart competitor comes along who realizes there’s serious value in treating your customers right. Namely, they come back. And they tell their friends about how well they were treated. Why is that almost never true of dealerships? Long ago, dealerships figured out where their bread is buttered, and it’s not in the customer service department. Dealership licensing bureaus give corporate collusion the force and form of law. Their role seems well-intentioned enough. They make rules that car dealerships must abide by in order to get a business license. Protect the consumer! Right? Protect the consumer has devolved into protect the dealer. You see, if I’ve been a dealer for the past twenty years, the last thing I need is some pesky competitors using the same route to success that I did and stealing my business. Enter the licensing bureau, on which, as qualified industry experts, titans of the dealership industry sit. Time for some rules in this town! A few decades gone by, and the rules have become so onerous that it’s nearly impossible for new dealers without millions of dollars or government connections to get in the biz. With no competitors, dealerships become sleazier versions of the movie theatres. “That’ll be $9 for your box of rock-hard Milk Duds, sir.” Or, in the case of dealers, “rust-proofing”. Don’t like it? Well, you have nowhere else to go because competition is prohibited here. Carvana is a 100% online used car dealership. That’s right, you buy your car online. Carvana ships it to your house. Done. Not weird enough for you? Good, it gets weirder. In Atlanta (and coming to a city near you soon, hopefully), you can pick your car up at the world’s first ever car vending machine. It’s exactly what it sounds like except you don’t need several thousand crisp dollar bills to get your car out. Walk up to your car port, punch in your confirmation number on a keypad, and the garage opens automatically. Take your car and go. You don’t even have to speak to the Carvana attendant if you’re antisocial like me. The best part of all this? You’re going to get your car for significantly cheaper than the dealership, and it comes with a 7-day no-questions-asked return policy. Without the cost of a major physical footprint (car lot, showroom, bathrooms, etc. ), salespeople (read: middlemen), and the myriad licenses to have all those things, Carvana can pass some of those savings onto you. But therein lies the rub. Innovation in the car sales industry? Isn’t that prohibited? Some would like it to be, and it almost is. A complicated web of rules and regulations written by the dealership cartel in various states’ dealer licensing bureaus make some aspects of the Carvana business model border on illegal. Ditto for Tesla. But why? Certainly not in an effort to protect the consumer, who, by virtually all accounts, is remarkably satisfied. So confident is Carvana that they’ll treat you right before and after you purchase your vehicle that they invite you to take a look at their worst reviews — on the front page of their website. Try asking a traditional car dealership to see the binder of complaints made against them before making your purchase. Carvana is a fun place to shop, and they treat their customers right with transparency from start to finish. But, like Tesla, they aren’t doing things exactly the same way they’ve always been done. They’re upsetting the established order, and giving you options that never existed before. But people trust both companies for a reason, and they’re happy to reward them with their hard-earned money. If they ever abuse that trust, may the next innovator come along and take advantage of their lapse in judgement. Until then, we can all use a little car-buying Nirvana for once. 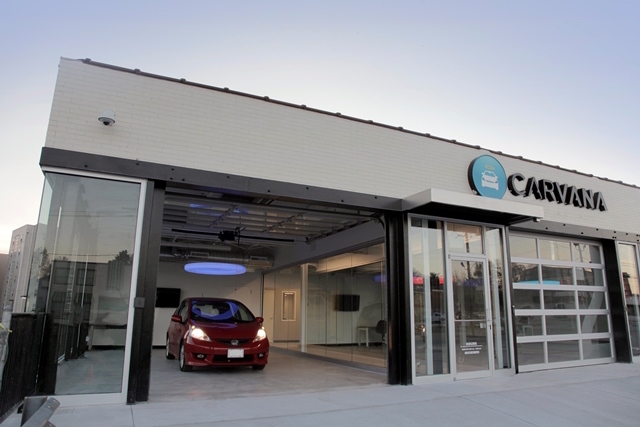 Brilliant article by Dan Jones VI on Carvana, the industry changer. I am so fed up with traditional sleazy car dealerships and their unfair and deceptive sales practices, I gave Carvana a chance. And I am never going back! Kudos to a wonderful article written that verbalizes exactly how I feel about my new “addiction”! Really appreciate your kind words, John. It’s a great company with great people and great innovation.